Toby says: “Wow! Now we have a really giant sunflower! 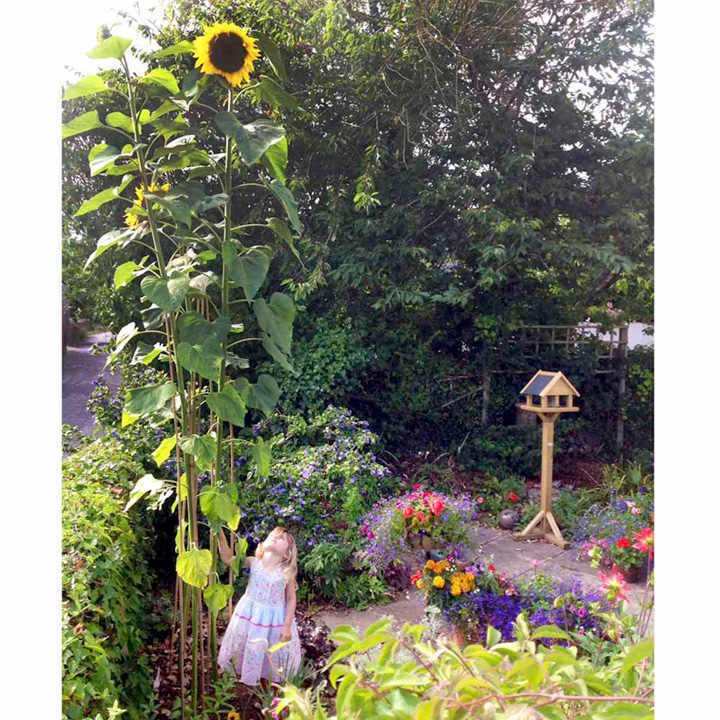 Giraffe was bred by RHS committee member Victoria Wakefield following years of selection to find the tallest sunflower for UK growing conditions. 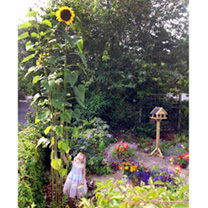 Ideal for a sunny wall or fence and definitely the one to grow for the kids in any tallest sunflower competitions! Height 520cm (17') - and why not try and go beyond" Flowers July-September. HA - Hardy annual. Easy to grow and a real favourite with children. Flowers like very large daisies with brightly coloured petals. Pollen-free varieties are ideal for hayfever sufferers and for cutting. Use petals and seeds in salads and cakes. Sow under glass March-April and outdoors April-June for flowers July-September. Ideal for beds and borders. Attractive to pollinators. Suitable for cutting. Prefers full sun.